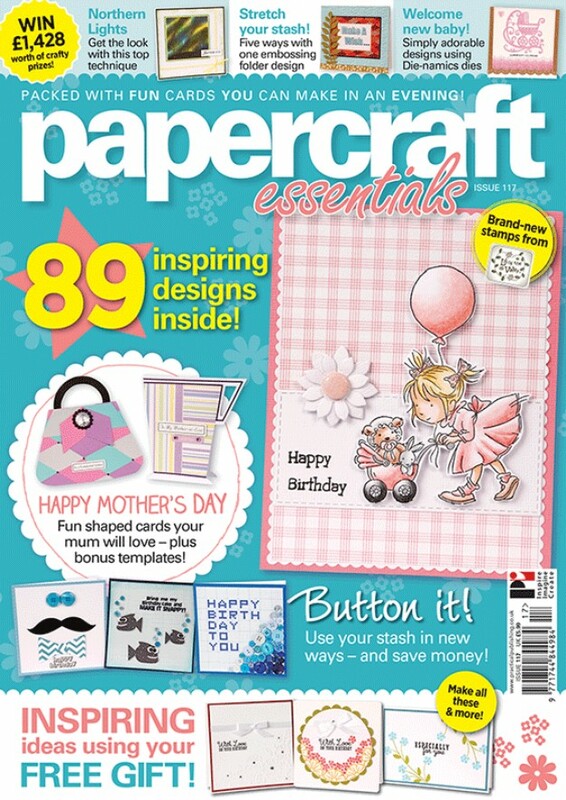 Papercraft Essentials is having a free Design-a-Flower embossing folder and stamp set on its issue 117. Since I do not have much flower related stamp sets, this freebies really caught my eyes and heart. 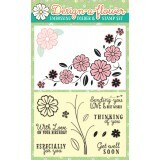 The sentiments in this set are wonderful as well and great for many occasions! 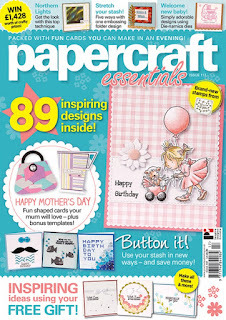 The embossing folder is a bonus as it is a border embossing folder which I do not have such in my collection currently. Although the magazine is cost at RM39.90 which is a bit expensive, the value of the freebies just make it worth. Furthermore, there is inspirations/ideas and instructions on how to make sure of the free Design-a-Flower embossing folder and stamp set inside the magazine. Not to mention things I can learn from the magazine. At the back of the embossing folder and stamp packaging, there are some simple instructions and guides on how to use the stamps inside the set by designing different and varieties flowers designs.